osing his head on May 12, 1543 made Jakob Karrer von Gebweiler’s name in the annals of art and and medicine. 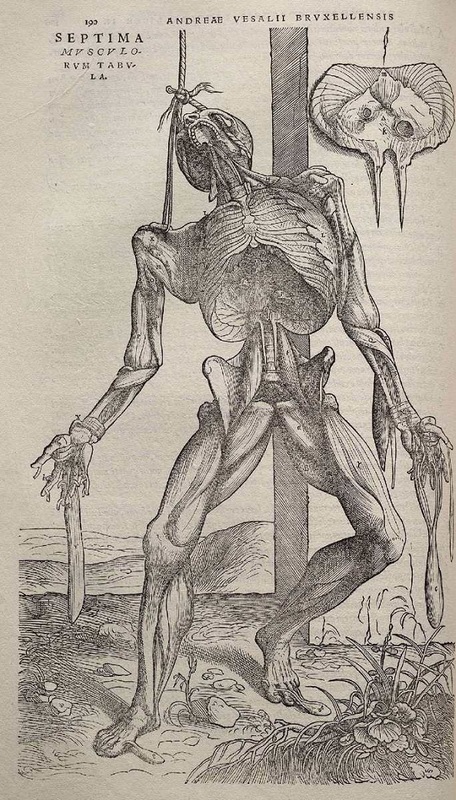 The remains of the Basel felon — who attacked his wife with a knife when she discovered his bigamous marriage — were turned over after execution to Andreas Vesalius. That brilliant Flemish doctor was in the midst of a proper Renaissance leveling up of medicine, lifting it past the centuries-long thrall of ancient Greek physician Galen. Human dissection was essential to Vesalius’s project, as it was alike to many other medical men and to artists too. In his career, Vesalius’s cunning scalpel stripped numerous cadavers for students and urban grandees. 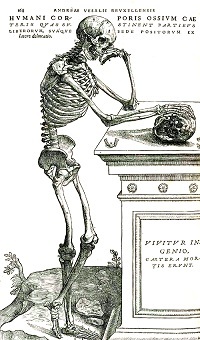 With Karrer, Vesalius performed a public dissection, articulating Karrer’s skeleton. Gifted to the university there, the skeleton was restored in 1985 and can be seen to this day at the Institute of Anatomy in Basel, Switzerland — one of the very earliest still-preserved articulated skeletons. Why is it a Basel criminal who enjoys this distinction? 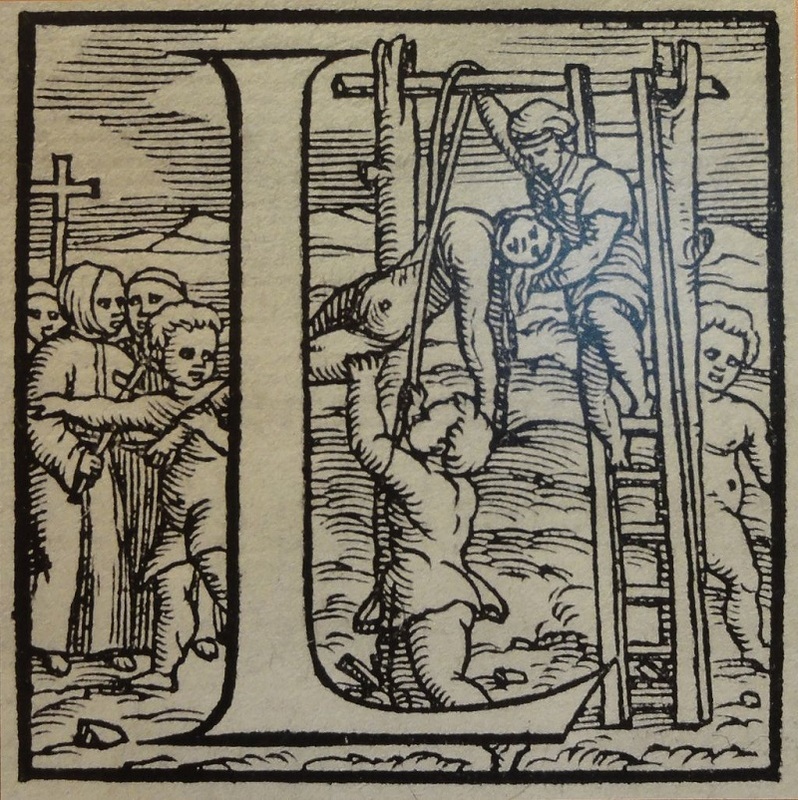 From Wikipedia’s library of De Humani illustrations. Because in 1543, Vesalius was in that city* to work with printer Johannes Oporinus, even then publishing the physician’s magnum opus De Humani Corporis Fabrica. 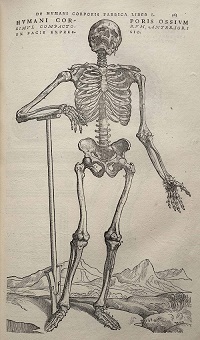 Vesalius personally transported to Oporinus the famously gorgeous and detailed woodcuts of Titian’s pupil Joannes Stephanus Calcarensis that made De Humani a smash hit in Vesalius’s own time and one of the most treasured artifacts of Renaissance scholarship. * There’s still a street named for Vesalius in Basel.